Iva's is open Thursday thru Sunday from 11:30 a.m. to 8 p.m.
Iva's has "take-out" deals: Special for 2 for $15 and special for 4 for $27. You get chicken, mashed potatoes, dressing, gravy, slaw, and biscuits. Call us at 989-654-3552. Iva's can accommodate private parties in our private dining room during the off-season. The private dining room can hold up to eighty people. We generally close at 8:30 P.M. but will gladly stay open to 2:00 A.M. for private party needs. Iva's has a full liquor license to make your birthday, retirement or holiday party special. 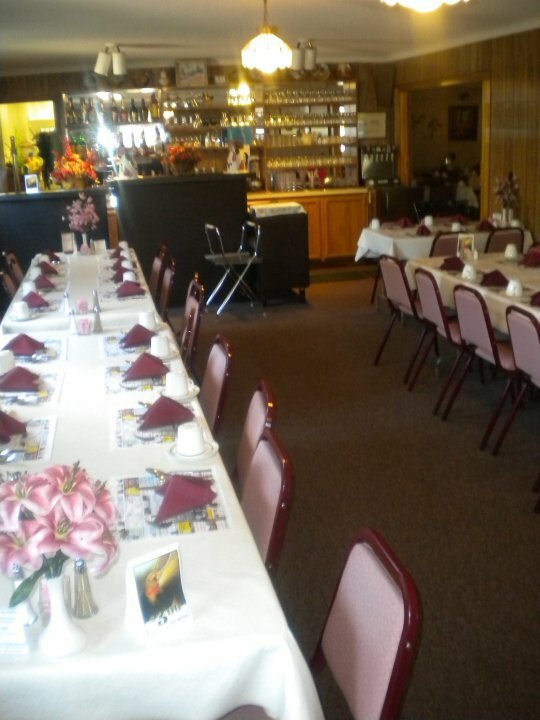 Call 989-654-3552 to reserve the private party room today and to get details on our special menu for large parties. 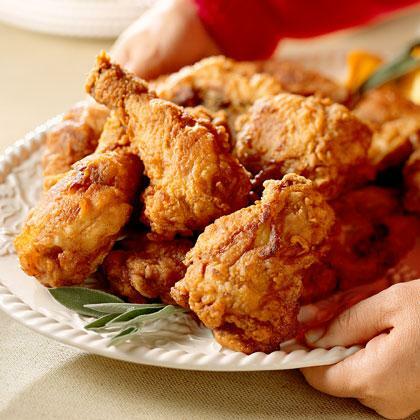 Iva Ousterhout's famous chicken dinners have been served since 1938. Originally prepared for oil-rig workers who rented rooms from her. Word traveled fast and soon, others wanted to enjoy her delicious meals! Family owned and operated. 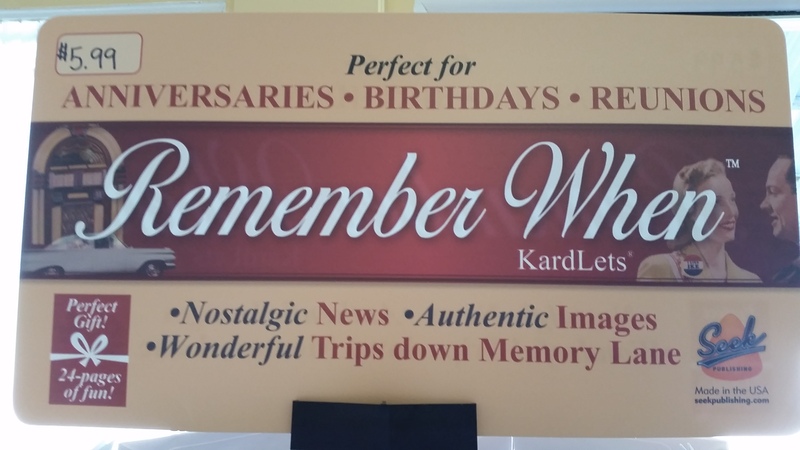 Iva's now offers a Remember When Kardlets Book with nostalgic remembrances of a certain favorite year of yours or someone in your family. 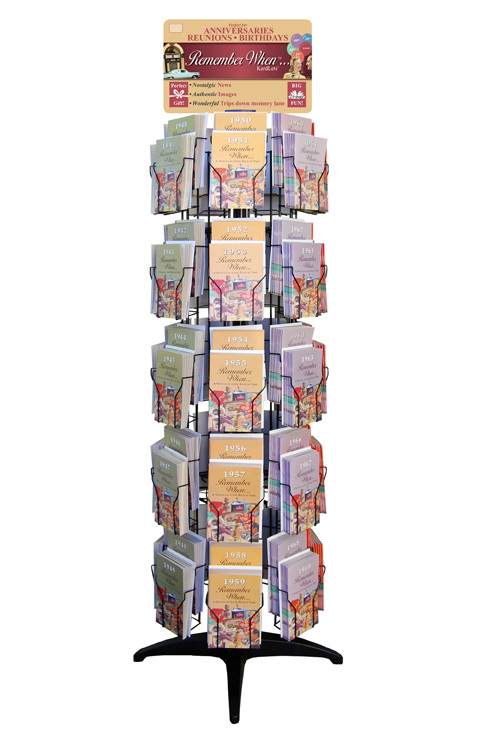 They are available on a spinner rack which you can see in the photos below. Each Kardlet sells for $5.99. It makes a wonderful gift for someone you know or just for yourself and family. The years that are available are from 1920 to 2001. See the photos below to get the idea and then come to Iva's to buy them.